There is always something so fascinating about early art. There is no written documentation from pre-historic art. What we have left are their sculptures, their paintings, and their structures. We see their stories, we imagine them. How were they created? Why? 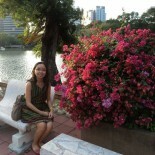 We have our theories, but still, you can’t help but wonder what life is like without the comforts that we have now. Another concern is preservation. I saw articles noting the crystals and algae problems, as well as the humidity that is causing the paintings to fade. Here in the Philippines, we have that difficulty with the Anggono Petroglyphs. I haven’t seen it yet, I’m about to in August, but I hear that it is in a pretty bad shape. We really should take care of our heritage. Another portion of the lecture is on Greek, Hellenistic, and Roman Art. This have written documentation, descriptions of what their life was like. It gives us a clue. From the simplicity of Greek red-figure vase designs to the opulence of the Hellenistic Derveni Krater. 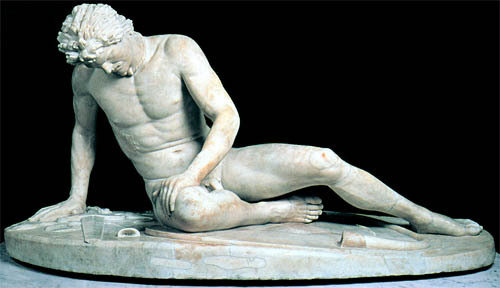 Another is on the evolution of the male sculptures, the image of ideal beauty in the classical times. An addition for this semester is the exploration of paintings found in Pompeii. 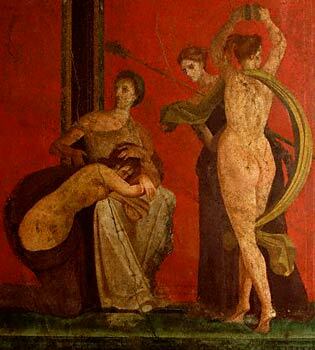 Greek paintings are long gone but perhaps the paintings found in Pompeii may give as a clue on how they might have looked like. These are preserved because of the volcanic eruption that has buried the city but preserved the cultural objects. We know a lot. There is already a vast amount of knowledge that has been researched and written on the subject. But it will still leave you thinking. We’ve heard it said that there is no limit to the imagination. Perhaps not. And, we still see these things around us. The Greek influence has seeped into us. 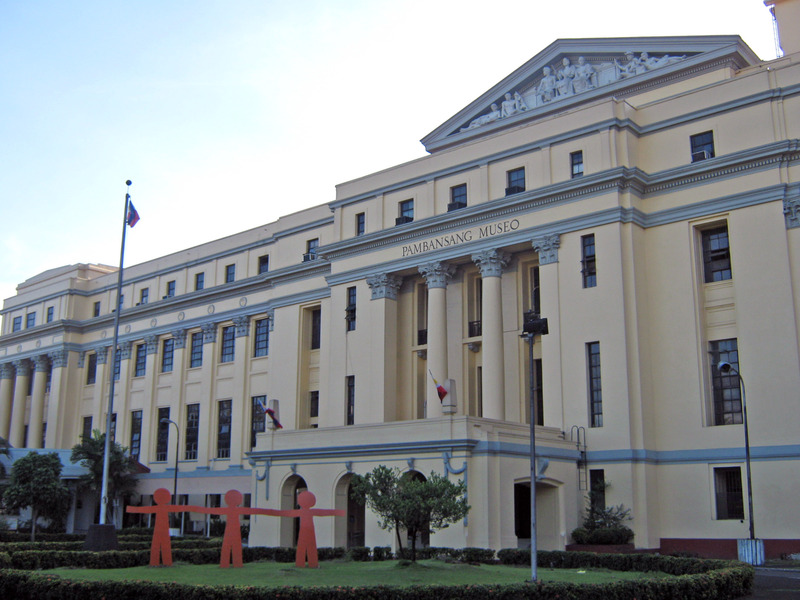 Looking at our National Museum, what does this structure remind you of? Before I forget, this is the link to the lecture that I have prepared. Again, I used Dropbox, all you need to do is click on the Download button at the upper-right hand side. I hope you enjoy it. We tend to measure our civilization by its comforts. What we have. But the Greeks were far more advanced in so many ways. They had great philosophers, dramatists, artists etc. But that does not measure them. They had confidence and courage, arrogance and humility. They knew themselves far better than we know ourselves. I wonder what it would take for us to know ourselves again. You are right, civilization is not about the comforts that we have. We should look deeper into who we are as a person, as a civilization. Thank you for this insight. It is astonishing when you look at the cave drawings in southern france (i”m going to see them for the second time this summer) and see how anatomically correct they are drawn then you think of renaissance art and wonder what happened during the dark ages? How did they “forget” how to see. I’m so jealous! 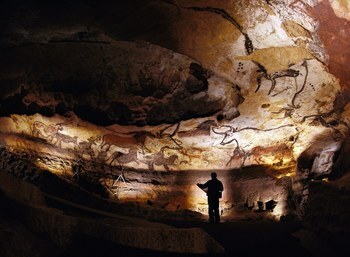 I hope I’d get to see these cave paintings for myself someday. I guess people forgot to see what was around them because they were looking up. The medieval world was so focused on creating the concept of god and making people look for the divine. They forgot that what is around them is more divine than those notions. You need reservations for Lascaux way in advance so we missed them but I did take my 12 year old grand daughter to another cave an enormous one in southern France, It was cool and dark and not damp -open to the public and was in pretty good shape – the subject matter was religious, of course. This entry was posted on July 13, 2012 by Portia Placino in Art Classes, Art History Class and tagged art, Dying Gaul, Early Art, greek art, Hellenistic Art, Minoan Art, Mycenaean Art, Pompeii Paintings, Pre-Historic Art, Roman Art.